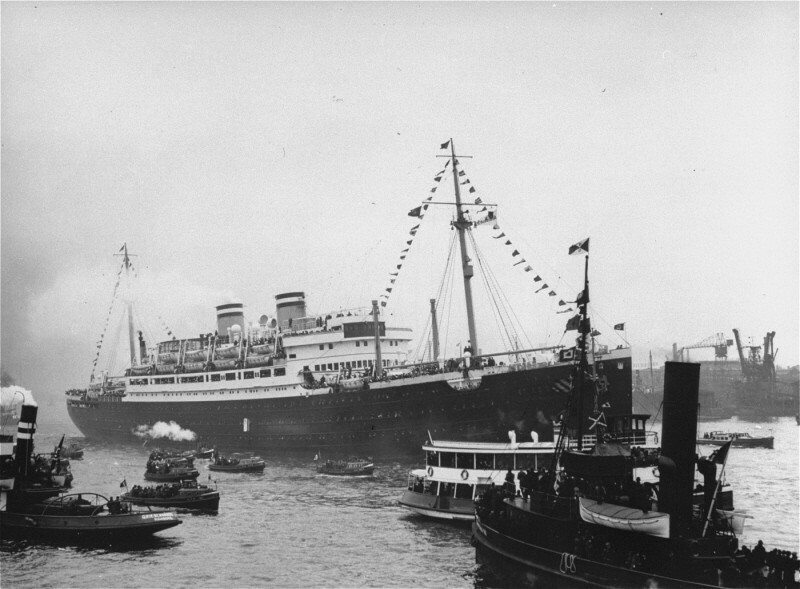 The St. Louis, carrying more than 900 Jewish refugees, waits in the port of Hamburg. The Cuban government denied the passengers entry. Hamburg, Germany, 1939.